There is one more bug in Enpass‘ widget: it shows some nonexistent items on both - my iPhone and iPad. I don’t know where they come from, but I also cannot completely remove them. So instead of 5 favorites I have 8 where 3 of them are leading to nothing (see the attached screenshot). Unfortunately I'm not able to give any suggestions how it comes and how to reproduce this bug. Please check it out. P.S. I already removed all my items from favorites, removed the widget and afterwards restarted the devices - nothing helps. When removed all my favorites, only the 3 nonexistent items are still shown. To investigate further on this issue please let me know the iOS and Enpass version which you are using. I'm using the latest iOS version (6.0.3 - 219), but I think they were right from the beginning there or comes with the 6.0.1 version. Cannot remember, sorry. I just got one of that 3 nonexistent deleted. It's really confusing. 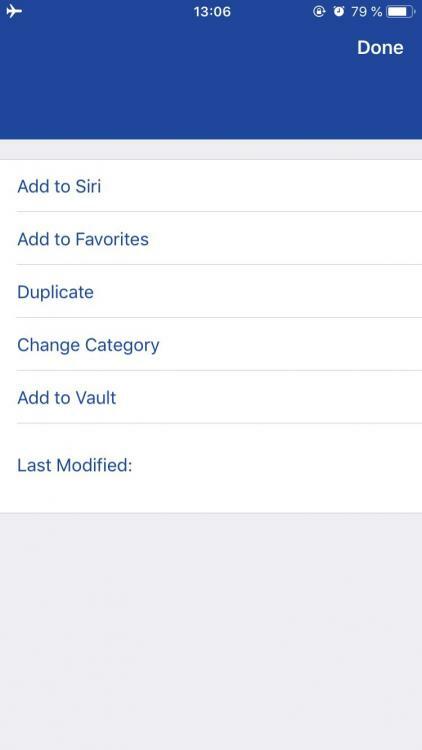 This empty item I found in password audit (section with similar passwords for multiple items) and after moving to trash, nothing was found in trash, but it was finally removed from favorites. After that I emptied the trash folder, but the other 2 nonexistent are still there. So I think that have to be those items, which were not properly removed / moved to another location and are still somewhere in the database. I think I’ve solved this issue or it’s just a workaround, I don’t know. Would be nice, if the devs could look into it though. I clicked on that nonexistent item in the favorites widget and then an empty item showed up (see the screenshot in my first posting). I’d like to add something: as I said, I figured out how to remove those items, but there still exists an issue with your widget. 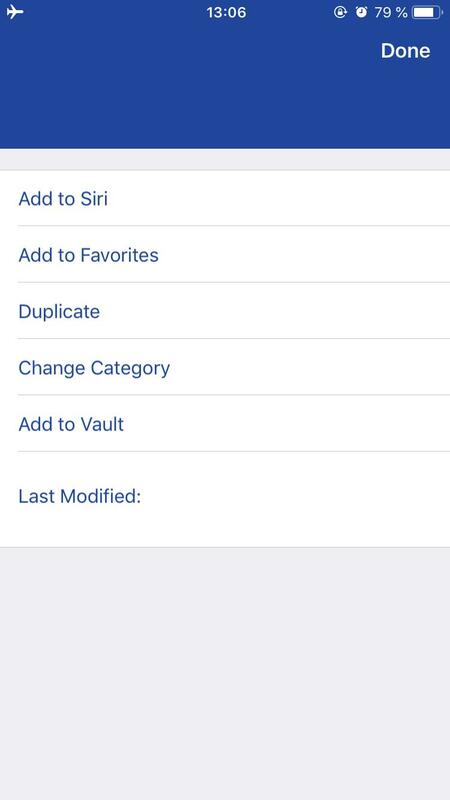 -when I’m adding a new item to favorites on my iPhone, it is not added to my iPad widget automatically, even after successfull sync between my devices. So I can see the new favorite item when launching Enpass app, but it’s not automatically added to my widget and I have to do my workaround on the iPad but another way round: removing the item from favorites and add it again (only then it will appear on my widget - sometimes even not at the first time and I have to repeat this action). So, there is definitely a bug with the Enpass’ widget and I’d like you to look into it and fix this annoying issue.